The rapper's album "DAMN" was chosen for the Pulitzer Prize in music. One professor says, "It's about damn time." Kendrick Lamar and his album "DAMN" just made Pulitzer Prize history. The album — entrenched in the examination of social issues, black pride and the black experience in America today — makes Lamar the first rapper to win the Pulitzer Prize, and the first non-classical, non-jazz album to be awarded the honor. It's a big breakthrough for the music industry, but Adam Bradley says it's more than that. "It's about damn time," said Bradley, a professor at the University of Colorado at Boulder and director of the Laboratory for Race and Popular Culture there. "Rap is born out of a group of black and brown people who wanted to be heard, who have been ignored by the country at large. For more than 40 years now hip-hop has expressed itself in a voice that could not be ignored. Lamar is simply the most audible example that rap has always brought." The announcement of the big win came with a smile across Pulitzer administrator Dana Canedy's face. 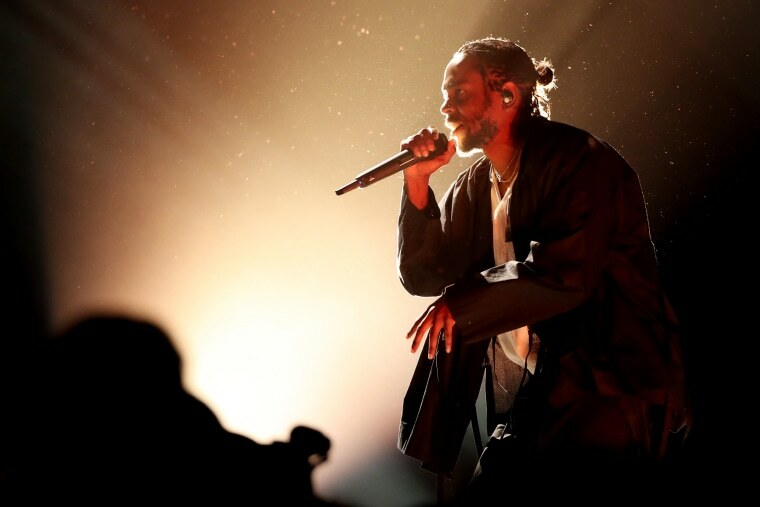 Describing the album as "a virtuosic song collection unified by its vernacular authenticity and rhythmic dynamism that offers affecting vignettes capturing the complexity of modern African-American life," the Pulitzer jury commended Lamar's storytelling talents. The prize demonstrates attention paid toward the chants of communities of color. Lamar, who earned a No. 2 spot on Nielsen Music's 2017 top-sellers chart and has 12 Grammys under his belt, is part of a slowly changing landscape in iconic institutions, particularly the Pulitzer Prizes. The Pulitzer Prize for music did not go to a woman until 1983, and the first African-American music winner came only in 1996, leading the way for the inclusion of other groups as the Pulitzer board addressed the lack of diversity among winners. Lamar's win sets a precedent: rap and hip-hop artists are recognized as a permanent and important entity in the nation's artistic landscape. "This should put to rest [the question of] whether hip-hop belongs in the cultural canon or not," said Bradley. Twitter erupted when the announcement hit, immediately earning the news a Twitter moment. Some couldn't handle their excitement. Others discussed the implications the award has for what hip-hop is and was all about. "Kendrick Lamar being the first hip hop artist to win a #Pulitzer prize is a revolutionary sign of rap's influence," read Briana Jernigan's tweet. "But it's also overdue considering the fact that rap started off as a form of journalism and poetry. It's about talking about what's happening where you come from." Lamar and his agents at Interscope could not be reached for comment.